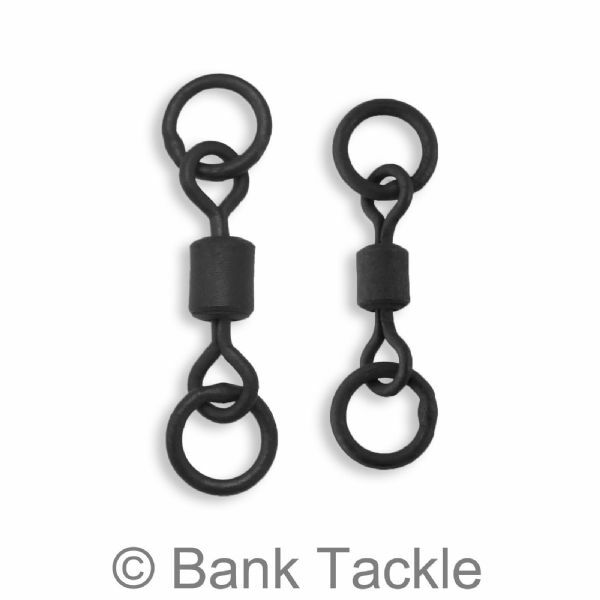 Double Ring Chod Swivels with a matt black non reflective coating. 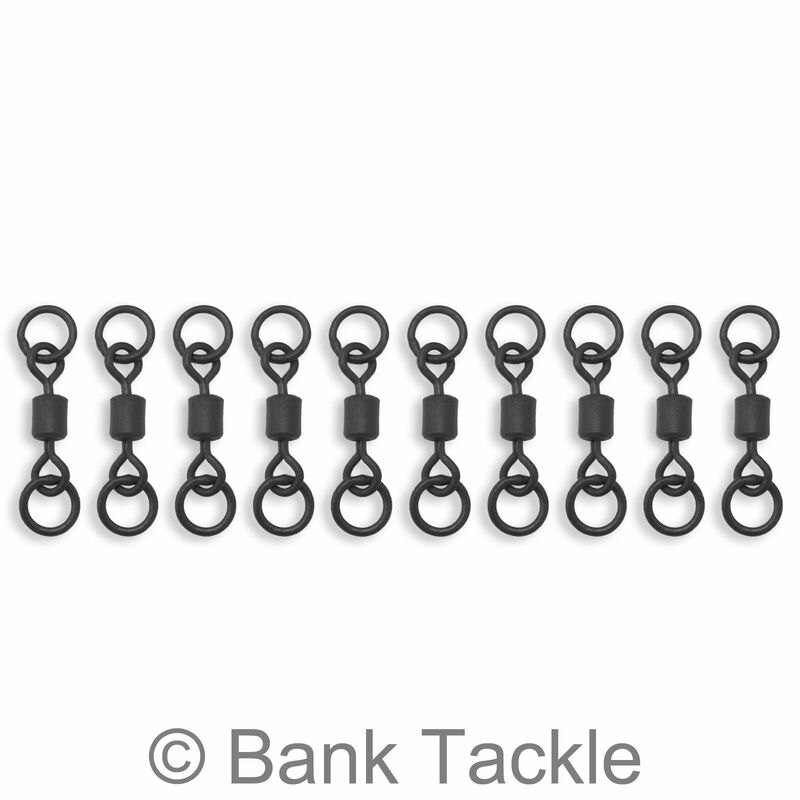 Double Ring Chod Swivels have more flexibility than standard swivels so are perfect for making a variety of carp rigs. 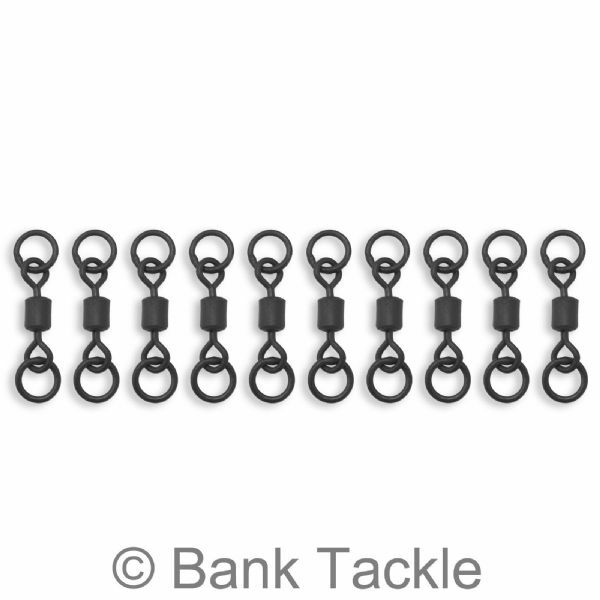 Having a Flexi Ring at each end of the swivel makes these perfect for Chod rigs and Helicopter rigs. Our Double Ring Chod Swivels are available UK size 8 and 11.